FFA - Lead Tampa Police Homicide Detective Sonja Wise labeled the death of Fatimah Abdallah as a "Homicide." What happened with TPD top brass after that is anyone's guess? Tampa Bay Rays game in June 2010. Lead Tampa Police Homicide Detective Sonja Wise labeled the death of Fatimah Abdallah as a "Homicide." What happened with TPD top brass after that is anyone's guess? Tampa Police Detective Sonja Wise hand wrote on August 18, 2009 the word “Homicide” as the Type Of Offense on page 3 of 34 of the Tampa PD General Offense report. A snapshot of the top of that page is shown above. Click here to see full TPD report. Please note the heading at the top of the page which states "Death-Accidental" was posted at a later date. Detective Wise wrote the day before on August 17, 2009 the words “Unexplained Death” for the Type Of Offense on page 2 of 34. Two days after the offense Detective Wise went from calling Fatimah’s death “Unexplained” to “Homicide.” What happened after that only top officials at the Tampa Police Department know for sure. Many leaders of several conservative groups have poured over the official reports involving the death of the Palestinian woman named Fatimah Abdallah who lived in Tampa. This is yet another discovery which indicates that Fatimah’s death was a homicide not an accident. Click here for more information on this case which appears to be a cover up of an honor killing. Fox News tells Florida Family Association that not enough people are willing to talk on camera about the death of Fatimah Abdallah to make a one hour special report. 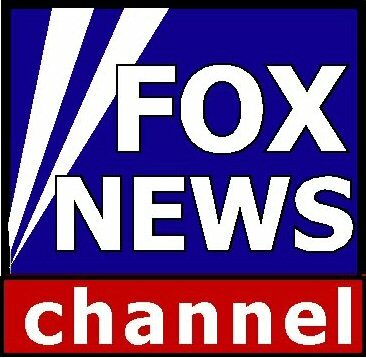 Fox News contacted Florida Family Association in August to discuss the possibility of producing a one hour special report about FFA’s findings regarding the honor killing of Fatimah Abdallah. The Tampa Police Department claims that Fatima Abdallah killed herself by repeatedly beating her head against a coffee table. FFA and numerous other organizations call that assertion preposterous. Florida Family Association funded a significant investigation the results of which contend that Fatima Abdallah died as the result of an honor killing and not an accident. However, since no one is willing to talk on record the Fox News producer concluded there would not be enough interview content to fill a one hour special. Law enforcement officials are unwilling to discuss this case. The people who gave interviews to Florida Family Association’s private investigator are unresponsive to discussing the case any further. Fox News would have a difficult time filling a one hour report on this case when no one is willing to talk about it other than Florida Family Association personnel and leaders of similar groups. Unfortunately, the silence and cover up of the Tampa honor killing will typify similar cases in the future. Thus, the Islamic oriented violent crimes committed in America will likely grow. Florida Family Association plans to continue to educate the public on this case and monitor vital records for new cases across the country.